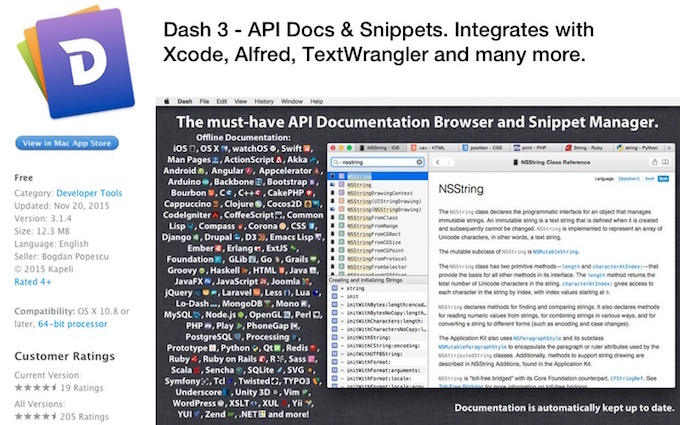 Mac/iOS用スニペットアプリ「Dash」がApp Storeから削除されたのは開発者が2つのアカウントを使用し1000近くの不正なレビューを行ったため？ | AAPL Ch. My understanding is that the reviews included fraudulent positive reviews for their own apps and negative reviews for competing apps. That’s something the App Store simply can’t ignore. What I’ve done: 3-4 years ago I helped a relative get started by paying for her Apple’s Developer Program Membership using my credit card. I also handed her test hardware that I no longer needed. From then on those accounts were linked in the eyes of Apple. Once that account was involved with review manipulation, my account was closed. What Apple has done: on Friday they told me they’d reactivate my account if I’d make a blog post admitting some wrongdoing. I told them I can’t do that, because I did nothing wrong. On Saturday they told me that they are fine with me writing the truth about what happened, and that if I did that, my account would be restored. 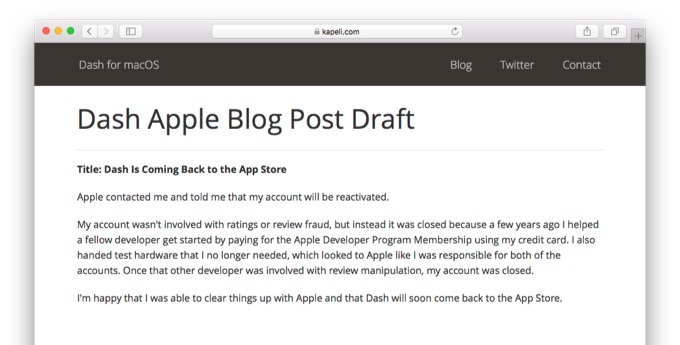 Saturday night I sent a blog post draft to Apple and have since waited for their approval. His post makes Apple sound pretty bad. 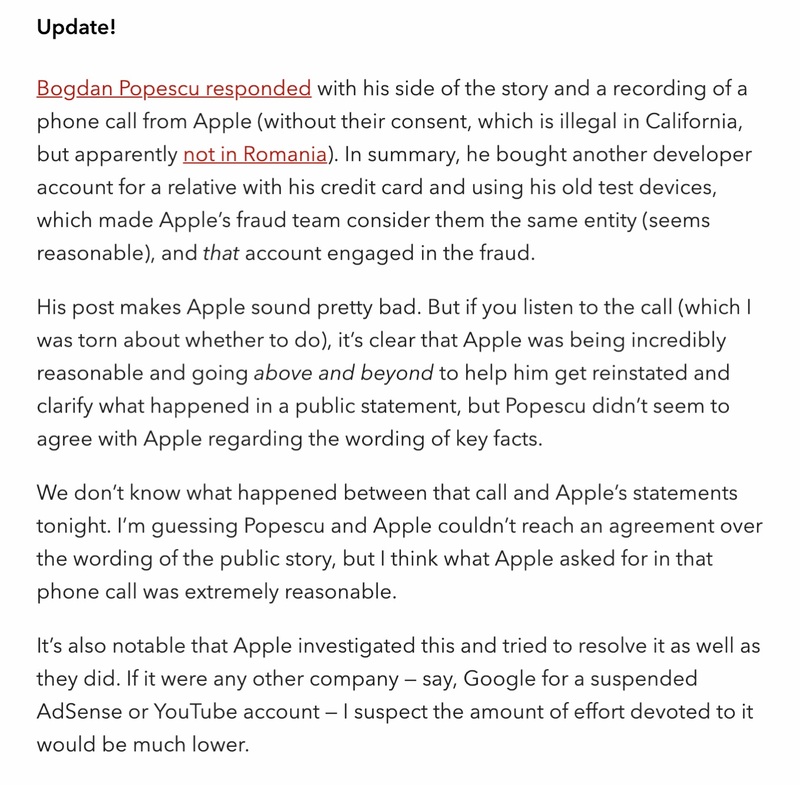 But if you listen to the call (which I was torn about whether to do), it’s clear that Apple was being incredibly reasonable and going above and beyond to help him get reinstated and clarify what happened in a public statement, but Popescu didn’t seem to agree with Apple regarding the wording of key facts.